Since I was a child, I loved animals, especially reptiles and amphibians. When I was young, my parents used to take my brother and me to the countryside; we usually collected some tadpoles, raised them and then put the frogs or toads in the garden. I liked to hear them calling on rainy days. Then I grew up and decided to become a biologist. 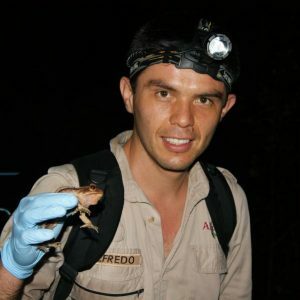 In 2012, Alfredo came back to Africam Safari Zoo as the Curator of Reptiles and Amphibians, where he became responsible for the Large Crested Toad (Incilius cristatus) Conservation Program. After finishing my degree, I got the opportunity to work as a volunteer for Shawn McCracken’s TADPOLE Organization on its Canopy Amphibian Project in Ecuador. 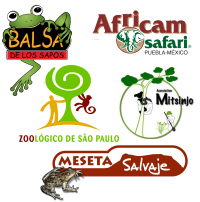 The project aimed to test the negative effects of pollution by oil companies on amphibian diversity in the Amazon. I witnessed the great richness of amphibians in the most diverse terrestrial ecosystem on Earth, and I definitely decided to focus my career on amphibian conservation. Then, I did my Master’s degree in Colombia where I worked with poison dart frogs. We had a small collection at the university lab and there I learned more about amphibian husbandry. In 2012, I came back to Africam Safari Zoo as the Curator of Reptiles and Amphibians, where I became responsible for the Large Crested Toad (Incilius cristatus) Conservation Program – a critically endangered amphibian endemic to Mexico. I had participated in the beginning of that program while I still was a volunteer at the zoo. I collaborated in the field work when the founders of the colony were collected. Unfortunately, when I got the position, the toads were still in quarantine boxes, but that gave me the opportunity to design their enclosures and form two breeding groups. Six months later, we had the first breeding event of the species in captivity. That event was a huge learning experience for me, because I was able to see the toads laying eggs, and the tadpole development from the beginning. 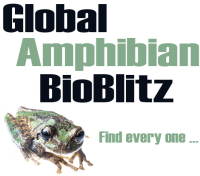 Amphibians are usually among the most important species for national conservation priorities in many countries. Since that day, we have had eight breeding events in the captive colony, which have allowed us to gather important information on the species breeding and developmental biology. We have collected additional tadpoles to enrich the gene pool of the colony and we have released more than 1,000 captive-bred toads on five different occasions between 2013 and 2017. Also, during those five years we established a toad population monitoring program. We found an increase in the abundance of the species during the breeding season – from 23 to 120 in a single night. In addition to the Large Crested Toad, I started a new project in 2015 with support from the Zoological Society of London’s Edge of Existence Program. This project consisted in determining the status of the Taylor’s Salamander (Ambystoma taylori) population, where it is endemic to a single crater lake in Mexico. After two years working on that project, I developed a conservation strategy to implement protective actions in the salamander’s habitat, and to create an assurance colony for the species, and at the end of last year, I received the “For the Love of Mexico Award” from Volkswagen. The award included funding to continue habitat protection work for the Taylor’s Salamander through actions such as the creation of a protected area around the lake, the reforestation of the crater with 2,500 native trees, and the engagement of local people and visitors in actions to reduce pollution in the lake. I hope my efforts can improve the conservation status of the species I work with (Taylor’s Salamander and the Large Crested Toad). In addition, I hope I am able to work for the conservation of other endangered Mexican amphibians in the future. Amphibians are not usually among the most important species for national conservation priorities in many countries, however, they are an outstanding group of animals due to their beauty, their different life histories and the role they play in the ecosystems.